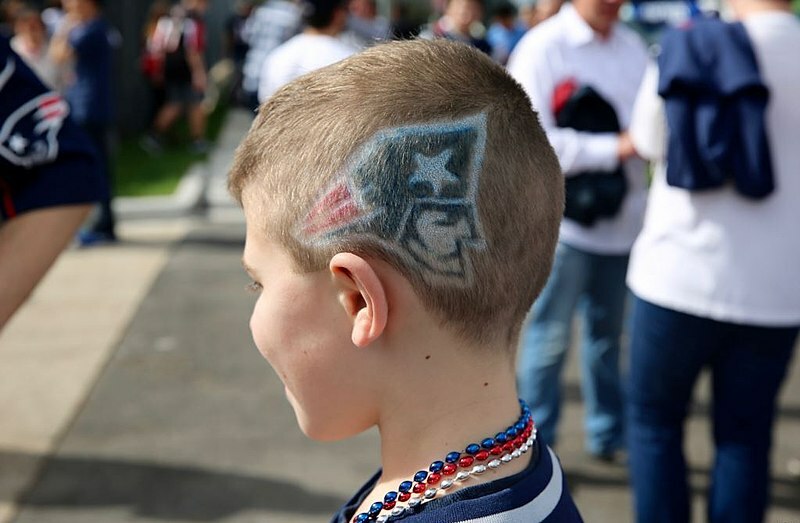 A young New England Patriots fan sports his team's logo painted in his hair at the Super Bowl in Houston, Texas, in 2017. The Super Bowl is here and I muse joyfully that the outcome matters little to me; in fact, I keep asking – WHO are the Patriots playing? I am entirely clueless, entirely content in my ignorance, entirely fine with being less than a stellar football fan. But then I got to thinking, what would I do if I were asked to be an announcer for the Super Bowl? What if, in some alternate universe, NBC or ABC or Sportscenter or whatever is out there celebrating this pinnacle football game, asked if I would announce the game. Where would I begin? Well, I’d like to sit in one of those high chairs and wear a fabulous head set. The announcers look like they have cozy seats, they’ve been coiffed up the wazoo, and they look like they are having fun talking about these guys on the field. I’d ask for coffee in an NFL mug; I’d take any freebies on the merch table and delight in the lights, camera and action. I’d feel, of course, a bit out of place as I know absolutely nothing about football. I’d keep this a secret, of course, but I’d try to keep up with the chatter, nodding in agreement with strategies, playbooks and touchdown talk. I’d pretend to recognize names and numbers, teams and histories. I’d simply feign interest and knowledge – which, let’s face it, is a lot of my life. But I know I’d have to laugh. And then I’d have an open seat next to me whereby I would invite my friend, Penny, to join. Now, I’m really not sure if Penny is a football fan, but she makes me laugh out loud and I know, that somehow, we’d bring the chat, the announcing back to things we’d really like to ask and discuss. For example, did Jackie O ever attend a Super Bowl? Do the players watch the halftime show or do they just have to talk about the game? Did you know Coach Belichick went to Wesleyan University – the alma mater of Lin Manuel Miranda? Has Coach Belichick seen Hamilton? Why does he cut his sleeves off his sweatshirt? We’d laugh and digress and completely go off topic and, I suspect, would annoy a good many of our viewers. But I know we would have fun – we’d talk about our upcoming weeks, what we’ve been up to, and maybe even have some insight into the game. Maybe we’d even watch. But we’d twirl in our seats and keep catching our glamorous looking selves in the monitors. Sweet. 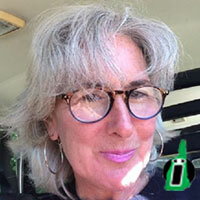 I muse joyfully that you will enjoy the Super Bowl – or a great chat with a funny friend. And I will be sure to let you know what Jackie O’s history is with the Super Bowl, but I’ll save it for next year’s announcement gig. Be sure to stay tuned.